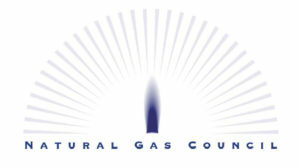 A new Natural Gas Council (NGC) report released today highlights the exceptional reliability of U.S. natural gas systems. Examining various aspects of domestic natural gas systems, the report concludes that the robust safeguards and security protocols in place ensure that natural gas continues to be an abundant, highly reliable source of fuel in the U.S. Thanks to advances in shale development — made possible by hydraulic fracturing and horizontal drilling — the report notes that production of natural gas has grown almost 30 percent since 2010, with government forecasts projecting a record of nearly 75 billion cubic feet per day by the end of this year. With such significant production growth — and subsequent affordable prices — natural gas is increasingly relied upon for electricity generation. According to the U.S. Energy Information Administration (EIA), natural gas generators accounted for 42 percent of operating electricity generating capacity in the United States last year. Overall, natural gas provided over one third of electricity generation in 2016, making it the leading generation source in the U.S. The environmental benefits of natural gas have also played a role in its increased use, as the report states that over its lifecycle, natural gas emits only about half the carbon of other fossil fuels when burned, which has helped drive U.S. CO2 emissions to their lowest levels since 1991. “Just as with pipeline safety, natural gas utilities apply layers of resilience for cybersecurity by employing firewalls and other tools to improve the prevention, detection and mitigation of cyber penetration.” (pg. 14). There are countless benefits to natural gas use for electricity generation and fuel. While the massive growth in U.S. production and benefits to air quality get the most attention, this report touches on a lesser discussed but equally important quality: reliability. Thanks to the inherent resilience of U.S. natural gas systems, coupled with industry efforts to manage potential risk, natural gas will be able to maintain its ever increasing share of the U.S. fuel mix for years to come.